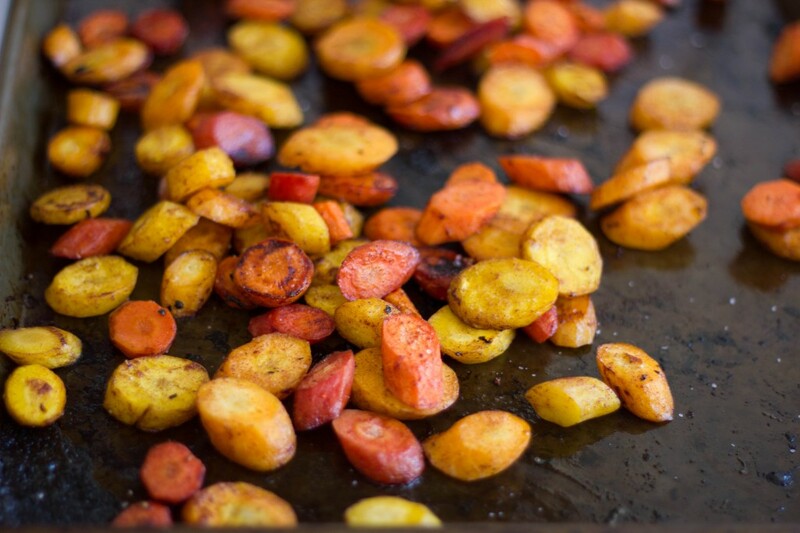 There are so few things in this world that we at Olive and Pearl’s love more than roasted vegetables. On the wrong side of the fence, that statement may sound nutty (veggies…? really?). But with spring sprouting away over here, we can’t help but fall deeper and deeper into our devotion. The Alemany Farmer’s Market in the Bernal Heights area of San Francisco is where our ritual and allegiances lay. It was the first US Farmer’s Market, as we know them today, and we like to think that it still resembles those early days – perhaps with a few more strollers. Â Rows and rows of open-air tents pop up every Saturday morning along the James Lick freeway as puppies, babies, vendors, and a few actual adults gather to sample freshly cut fruit and freshly-made hummus. You can get everything from pounds of garlic and apples to giant spiraling romanesco, spicy sprouts, and stalks and stalks of brussel sprouts. We stock our bags and cart home the lot in preparation for said roasting. Something of a specialty item, (but one that is well worth having on hand) pomegranate molasses is tangy, slightly sweet, and sour. 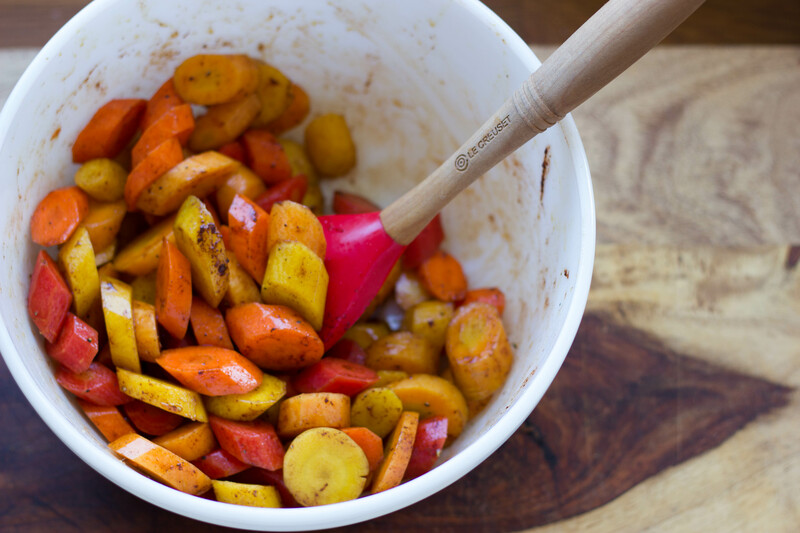 In this glaze, the high heat caramelizes and brings out the natural sugars of the vegetables. 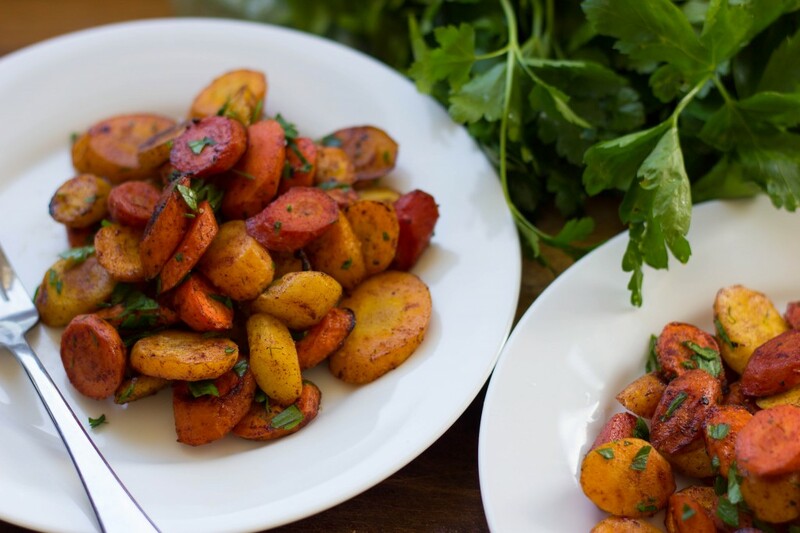 It pairs perfectly with the relatively mild flavor of the roasted carrots, and would be just as good on potatoes, parsnips, turnips… whatever you have on hand. 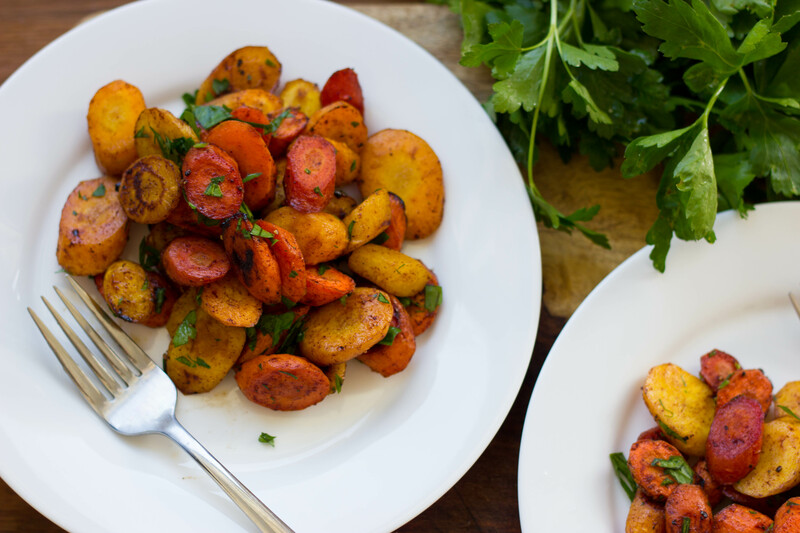 This sauce lends an enormous amount of flavor and should be used on everything. Liberally. Heat the oven to 400 degrees. Â Mix the pomegranate molasses, honey and oil (I had to microwave my molasses for 15 seconds to allow it to mix properly) until combined. 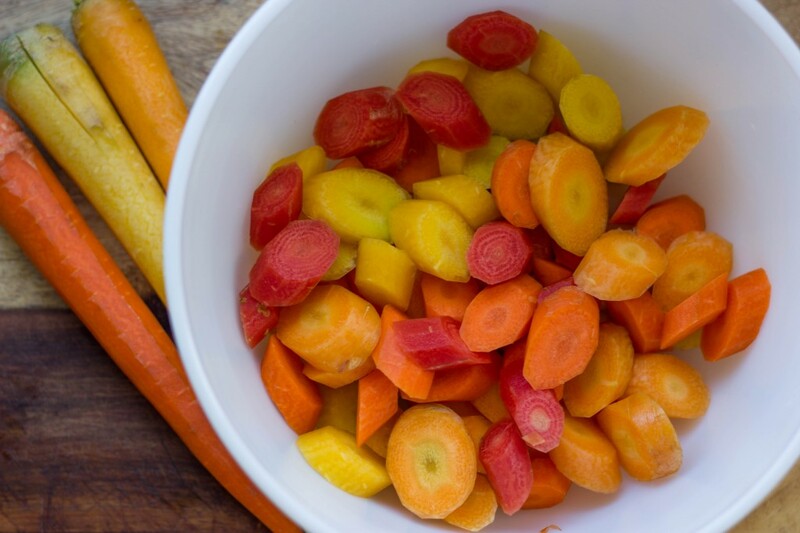 Â In a bowl, toss the dressing with the chopped carrots, then sprinkle on the cinnamon, salt and pepper and toss to coat. 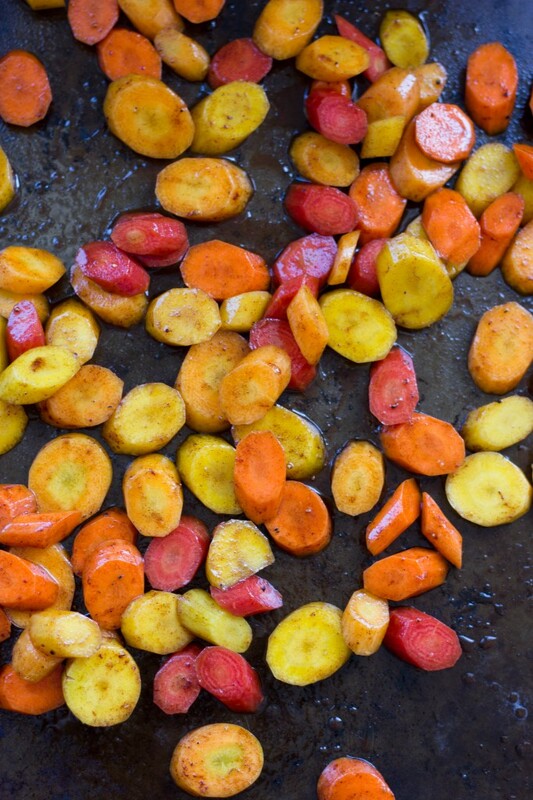 Place carrot mixture on baking sheet and spread out to be an even layer, then put the tray in the oven. Roast for 15 to 20 minutes, stirring occasionally. 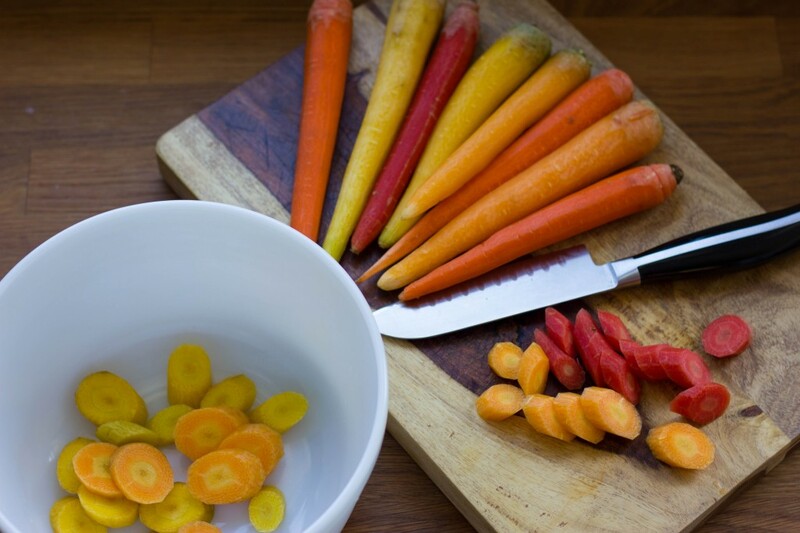 Â Serve either warm or cool, sprinkle on chopped parsley and additional salt if needed.